During a trip up to Jonesboro, Arkansas for a conference, we were lucky enough to be invited to Tacos 4 Life. We had noticed a few of their locations during our travels but had not had the opportunity to visit. What we were immediately impressed by was how rapidly visitors had their orders taken. 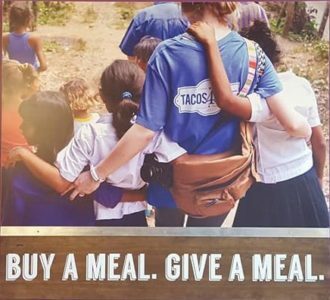 This quick turn-around continued into the dining portion of their trip, which had workers bring out tacos a few minutes after the order was taken. Highlights of our meal included the Korean BBQ steak taco. The steak is tenderly done, while there is a crispness imparted by the cabbage and the wonton strips included within. The yum-yum sauce tied the crunchy and savory elements together perfectly. Each of the sides strikes a different chord; a house salad includes pico de gallo alongside black beans, green onions, pieces of tortilla and romaine lettuce while their cilantro pesto rice is cooked to perfection and includes a vibrant blend of pumpkin seeds, green onion pesto, cilantro, and garlic. Mexican creamed corn and refried black beans are also present. 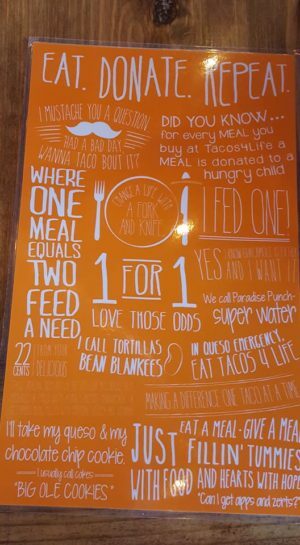 Tacos 4 Life also ensures that children are filled up during their meal. We got their cheese quesadilla for our daughter, who even at her hungriest could only finish about half of the generous portion provided. The spicy chorizo was another delight. The amount of sausage included on the taco was considerable. A modest amount of spicy zing from the meat and jalapenos is calmed down with a fair amount of fresh cheese and creamed corn. 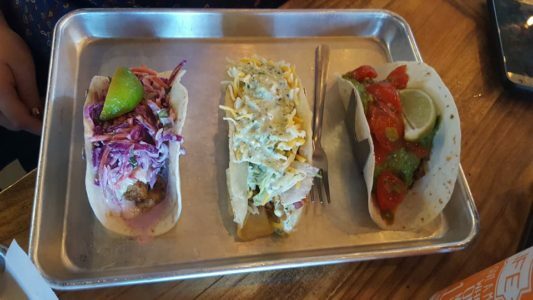 Tacos 4 Life also offers a fried chicken taco that contains a fair share of meat that could easily hang with other restaurants that singularly serve poultry. 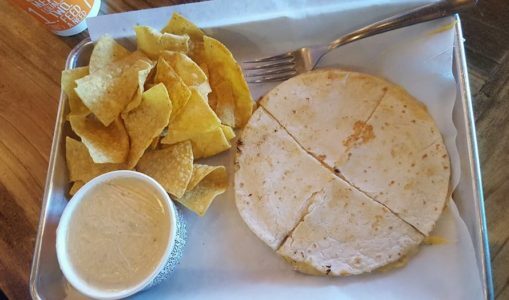 For those vegetarians that want to stop by Tacos 4 Life, the restaurant allows one to substitute a house-marinated tofu on any of the nachos, quesadilla, or tacos that the restaurant offers. The restaurant also offers nachos, rice bowl, and chicken quesadillas. A Mexican cobb salad rounds out Tacos 4 Life’s main dishes. The store was inviting, bright, and immaculate. Numerous hot sauces were present to further jazz up the tacos. Workers were present in the dining area to ensure that all needs were met, while a friendly demeanor was present in each interaction that we had with the employees. 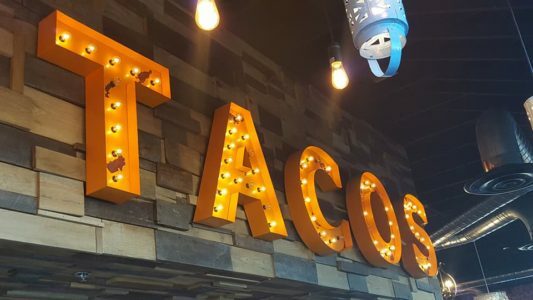 The wide variety of tacos that Tacos 4 Life offers ensures that one will be able to find something new and exciting each and every time they stop at the restaurant. 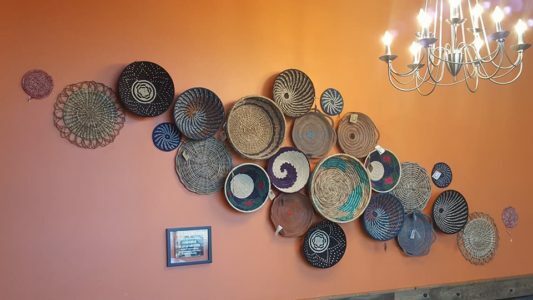 The next time that you are in the market for massive amount of tacos for a small amount of cash, take a jaunt to any of the 11 Tacos 4 Life locations that are located throughout Arkansas, Texas and North Carolina. 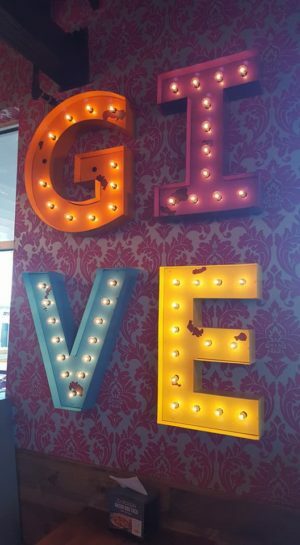 The company donates to a non-profit, Feed My Starving Children, one meal for each meal that is sold at the store. 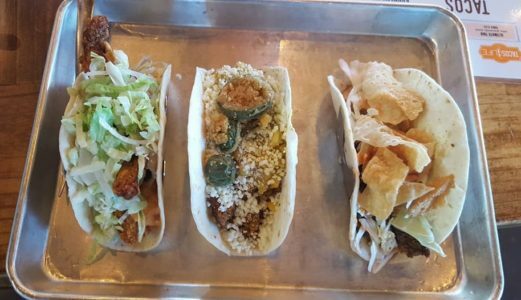 Jonesboro’s Tacos 4 Life is open from 11-9PM on Mondays through Thursdays, 11-10 PM on Fridays and Saturdays, and is closed on Sundays.